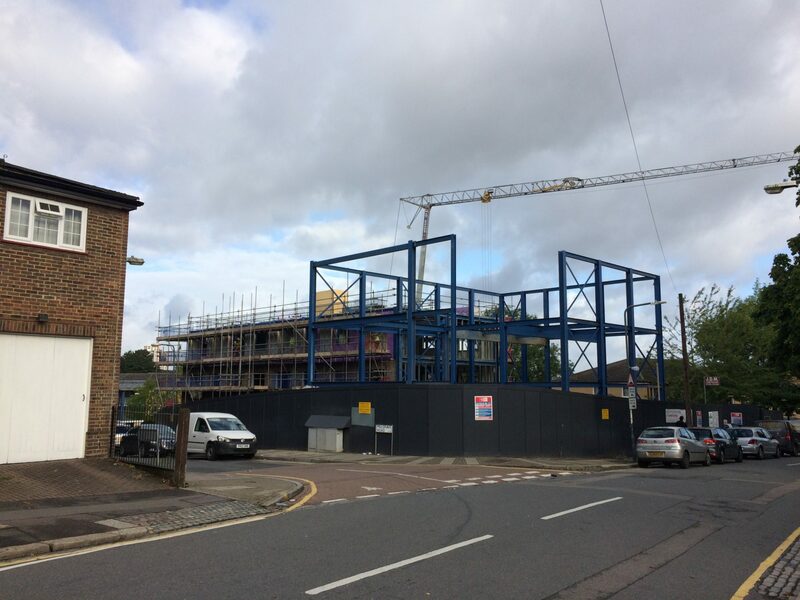 We are now on site at our recently secured project with Building Associates Ltd in Woolwich, South-East London. 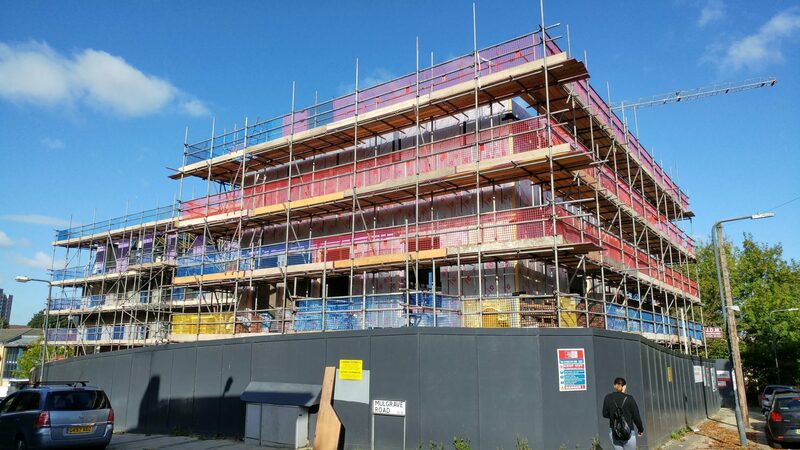 We have been installing the #SFS #Drylining to the external facade which as you can see is almost complete on the residential side of the building and we’re about to start installing the same on the Church side of the project. 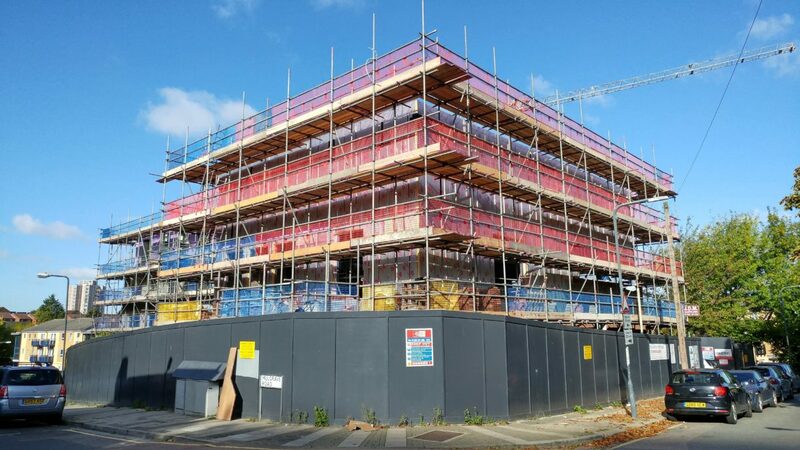 We have been awarded the #SFS #Drylining packages, screeding, #EWI (#Knauf marmorit render) and plastering on this project and as always we will be producing a high quality finish to the boards with skimming to all surfaces. We prefer to use this finish as it is easier to make good if the electrician has to cut any additional holes or marked the socket boxes in the wrong position (as is normally the case) and gives a smooth sound finish to all surfaces in preperation for paint or wallpaper. We have now screeded the ground floor slab and we’ll be ready to carry on with the internal works soon. 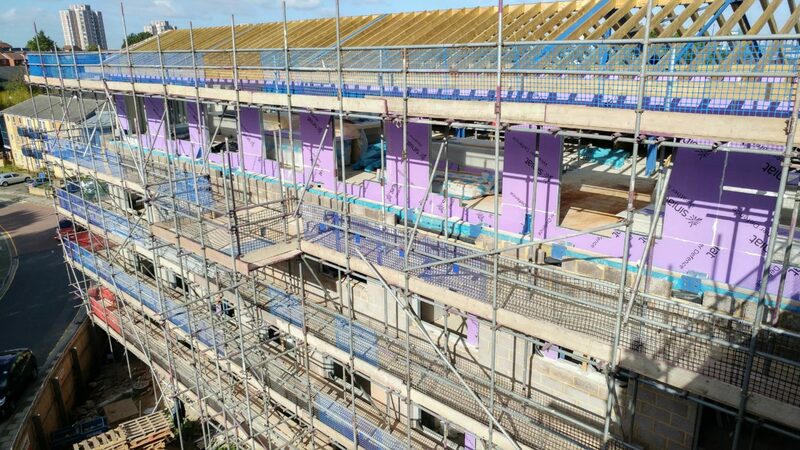 This is a mixture of facade and drylining works for a new client to us, we both share lots in common and are working together really well. I can already tell that we will be doing lots more business together in the future. The facade works are an architectural perforated metal sheet cladding which will be bespoke made to suit the design. 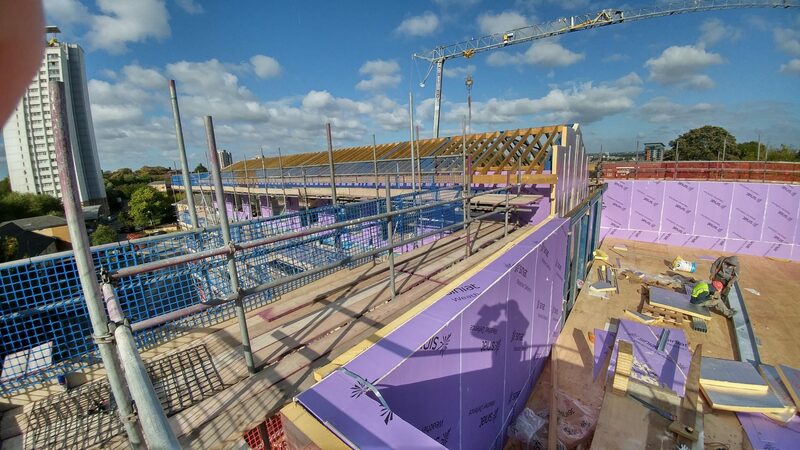 We will soon be commencing the internal drylining works as the roof slab is being poured at the moment. As soon as we’re watertight on site we can proceed and install the internal first fix metal stud partitions. 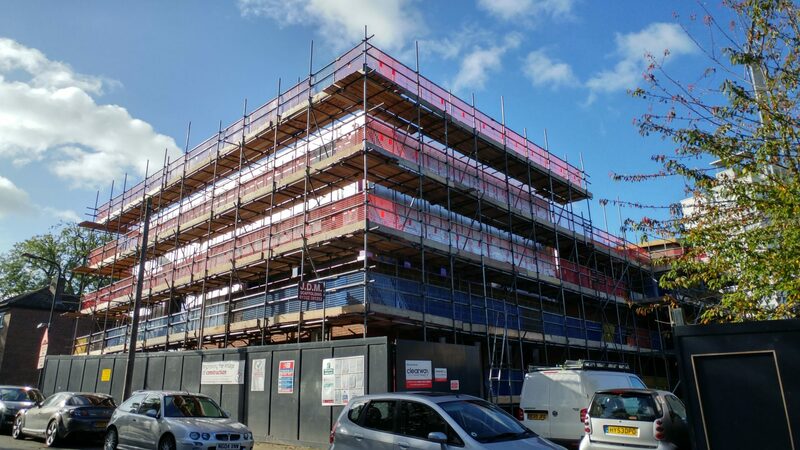 Building associates have a great site team at rectory place and we look forward to progressing quickly and to the satisfaction of everyone involved, from the client to the design team and our super skilled workforce on site.